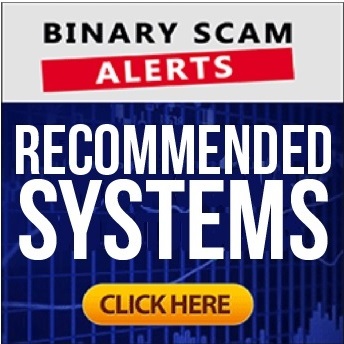 Binary Scam Alerts » Cryptocurrency Scam Reviews » Auto Crypto 247 Review, SCAM Auto Crypto 247 Exposed! The Auto Crypto 247 software is a blacklisted SCAM cryptocurrency and social trading robot. In our detailed and insightful review will explain how we reached this conclusion and expose the this fake app and auto-trader, as we now know it is a part of a very big fraud network consisting of Binary Robot 365 and Crypto Robot 365. Please note that there are some very heavily funded affiliate marketers out there who are providing fake reviews about the nature of this malicious app. We know who these crooks are because they shamelessly advertise this on their own thieving systems. These liars are trying to pull the same tricks again and are attempting to exploit the recent wave of popularity bitcoin has been receiving in the news by peddling fake binary bots online. It is for this reason we are warning our members and subscribers in the most severe and clear manner to avoid this thieving app, as it is nothing more than a get-rich-scheme with a polished look and some untrustworthy reviews which try very hard to make it look legit or genuine. After a close inspection of this technology and some serious fact-checking, we have found it to be extremely deceptive and misleading, and that is exactly why we believe it is so dangerous. Keep reading to see how we shed light on the dirty Auto Crypto 247 operation and why we believe it is a confirmed financial SCAM. Below you will find the testimonial section of the Auto Crypto 247 sales page. A simple Google check will show that all the images are fake and stolen from the internet without consent. Here we see how the fraud network operates. You can easily see it is a copy/paste job and we are looking at a template which has been rehashed and re-branded in order to peddle the same dirty lies. As if you needed more proof here is a section named “what people are saying”. This is an exact duplicate of the Cryptorobot 365, and it is even “verified” by the same creepy affiliate marketers. Ethereum, Bitcoin, Ripple, Litecoin and Monero. All of the above include a catch phrase which is misleading at best and downright criminal according to some traders who have been baited. These phrases include sentences like “the price is valued at $40 per share, you could have made $200,000 on a $10,000 investment. Here is where we hear the alarm bell ringing. When every you have the 3 easy steps of signup, deposit and trade you should be very suspicious. This is particularly true when it comes to online trading, and that’s because you are not purchasing durable or physical goods. At the end of the day you are buying software, and that can be packaged and sold in a variety of ways. That is a total ripoff and lie, there is nothing honest about this piece of horse manure as the image above illustrates. Take a wild guess. You will need to cough up at least $250 to get started, and that money will be charged to your credit card by unlicensed offshore brokers who care nothing about your financial welfare and will bleed you dry. What we are witnessing here is a shameless attempt to defraud and victimize potential day traders. The software is a rehashed type of white label solution and the testimonials are totally fake. There are hyped up and exaggerated claims of easy money, and inflated bank accounts are insinuated but not seen. In a nutshell, you are about to have your wallet fleeced so don’t even think about depositing. You bet! We are seeing them over and over again by the same group of con artist affiliate marketers who accept bribes in return for writing favorable reviews. Be careful and stay away from these liars as they are just interested in getting their filthy broker commissions. Cryptocurrencies are decentralized currencies. This means that unlike safe-haven currencies such as USD, EUR, and GBP which are controlled by state banks, cryptocurrencies are mined and purchased from a ledger. The upside is that the encryption makes the digital transactions more secure and virtually hassle-free. The downside is that cryptocurrencies may be perceived as untrustworthy and for that reason not accepted by many vendors. The way to spot a crypto-scam is by understanding what is being offered to you and realize that anything which offers you fast cash in a minute is very dodgy. So because of all the popularity Bitcoin has recently received, there are many scams out there such as Auto Crypto 247 which are riding this wave and scamming people. The ones to watch out for are Tai Lopez and 8 Binary Robot. If you have pondered and considered your options but are still hesitant then you are not alone. Fortunately our staff of dedicated researchers has done all the foot work and fact-checking so you don’t have to. We were able to compile a short list of consistently profitable trading apps, these are proudly showcased in our recommended section. Auto Crypto 247 is a totally blacklisted SCAM of mega proportions. The signs are all there and it is plain to see that if you have been solicited via SPAM email marketing or any form of aggressive click baiting type of advertising then you are officially being targeted by cyber crooks. These ripoff artists have a unique propensity for executing viral scams and understand how to bait and victimize potential opportunity seekers. We have it from a trusted source that this rogue band of affiliate marketers and thieving brokers specialize credit card fraud, identity theft, and other forms of financial internet crimes. It goes without saying that if you try to test the waters and deposit using your credit card, you will surely have your money stolen so don’t say we didn’t warn you. On a side note, many scams are now riding the Bitcoin wave as it is becoming very trendy and more acceptable. There is also this image of subversiveness and success which is associated with Bitcoin as well as other cryptocurrencies like Ethereum and Ripple. You should know that Auto Crypto 247 has nothing to do with legit systems, and is very much closer to what is referred to as an MLM or Ponzi Scheme. In this scenario we are witnessing a bona fide investment scam, and you should know that the software is rigged and set to lose. So even if you win in the short term, you will eventually end up losing your money and that is a guaranteed fact. In light of all of this damning evidence we were able to produce, we are forced yet again to blacklist this fake cryptocurrency SCAM and advise our members and viewers seek alternative investment channels. We are readily available through our Facebook Group and YouTube Channel, so make sure to join and subscribe.